Wise Pasta Alfredo And Chicken - Two Servings, 15 Grams Protein, Seven-Year Shelf-Life, 3,720 Calories, Made In USA | BUDK.com - Knives & Swords At The Lowest Prices! 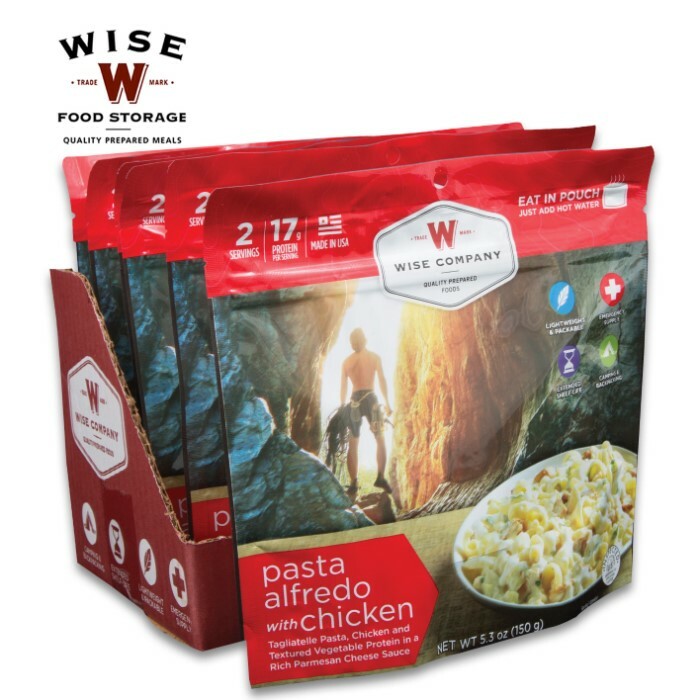 Delicious and nutritious has always been the mission of Wise Foods and this ready-in-minutes entrée will definitely feel your belly with warm wholesome goodness. 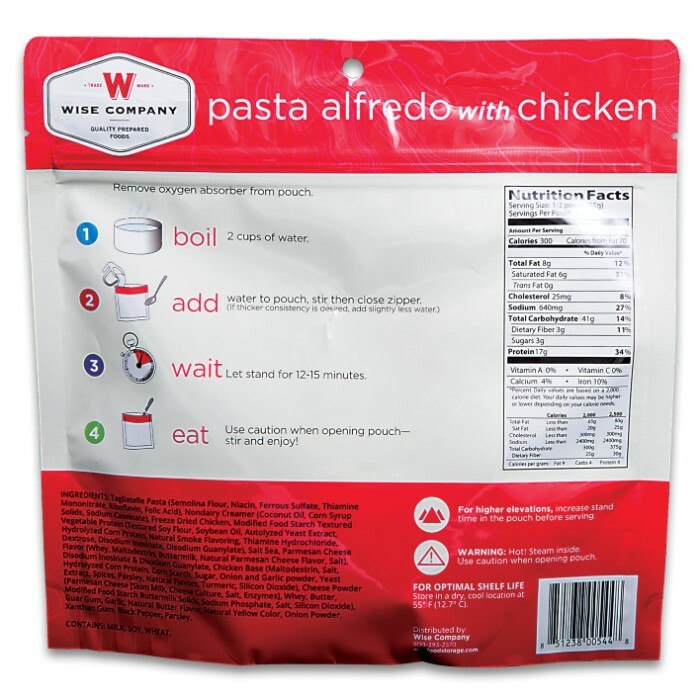 The ingredients in this two-serving pouch are enriched tagliatelle noodles with chicken in a creamy sauce with parmesan cheese and spices. 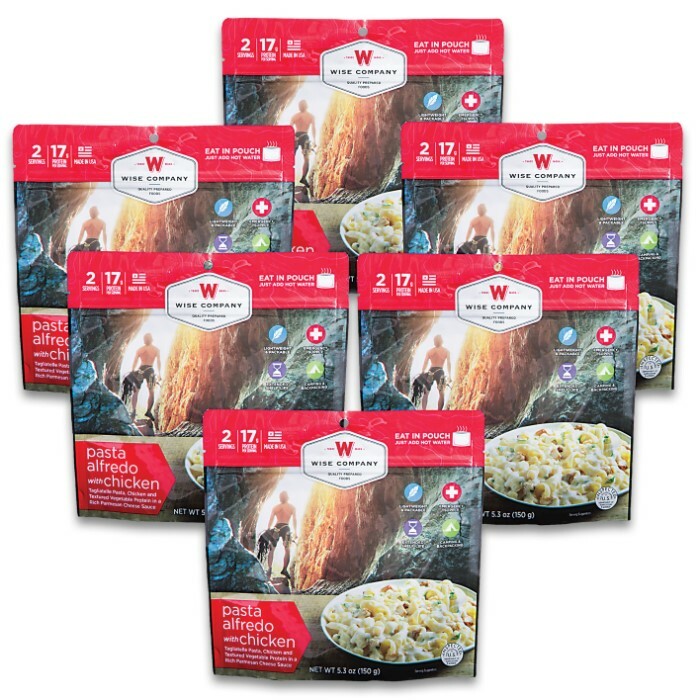 Lightweight and packable, the mylar pouch has a shelf-life of seven years and it’s made in the USA, using premium ingredients including freeze-dried and dehydrated food. 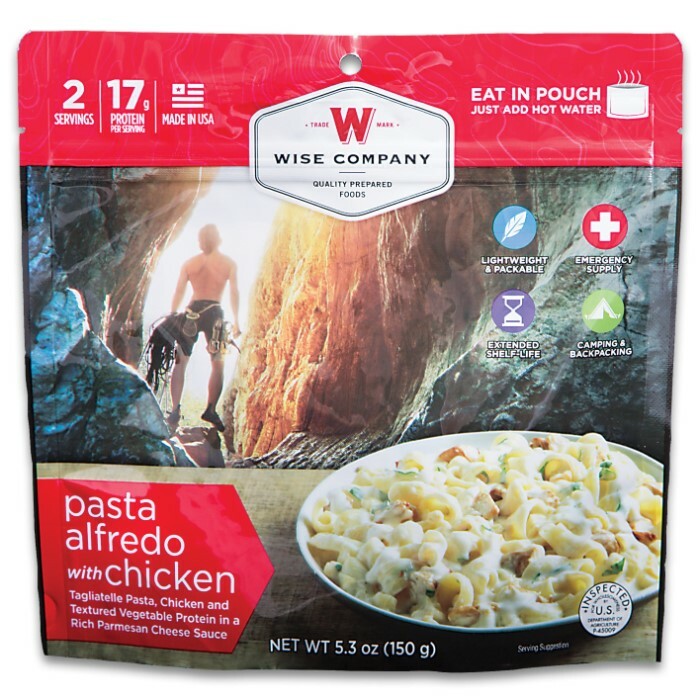 Stock up on this Pasta Alfredo and Chicken entrée and other Wise entrées because they are perfect for emergencies, camping and no-mess meal solutions, too!